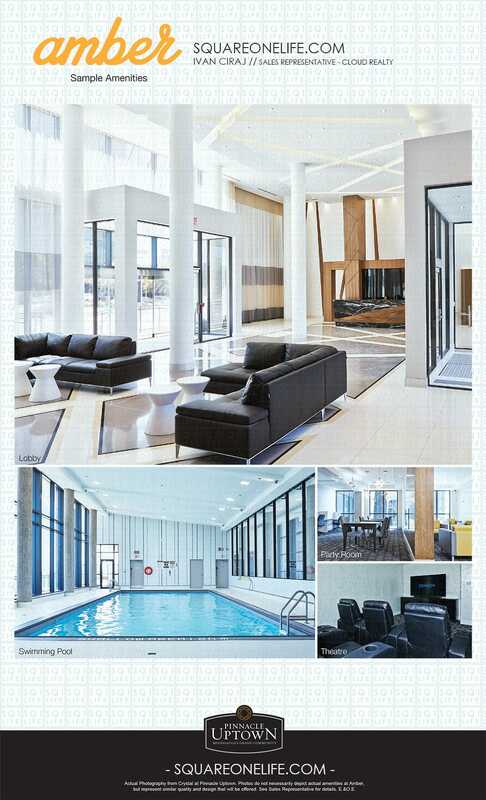 SquareOneLIFE and Cloud Realty are officially releasing Amber Condos Mississauga at Pinnacle Uptown. 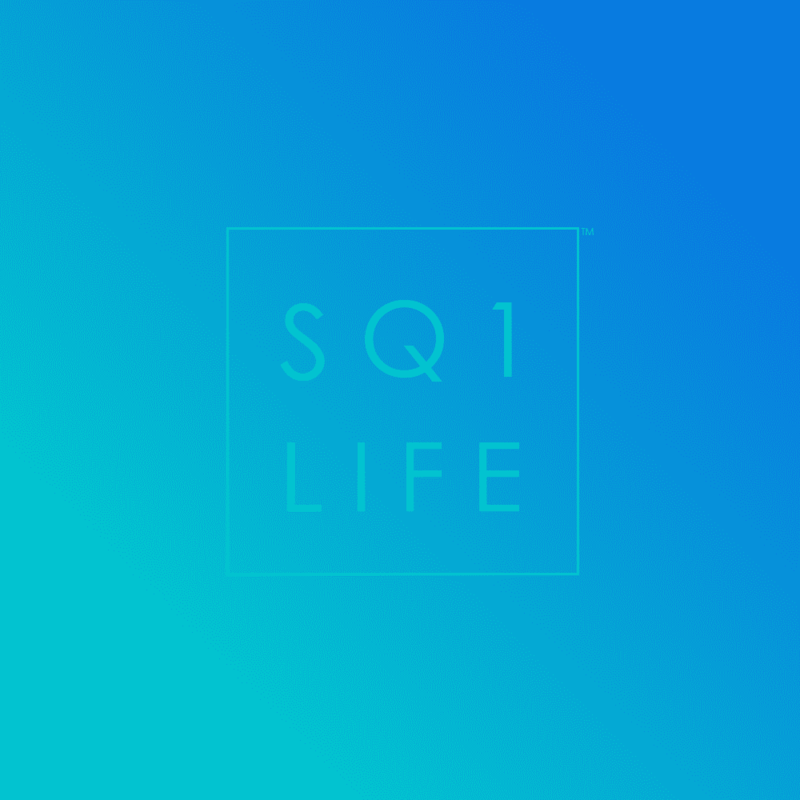 This is the latest offering in Pinnacle International‘s new master planned community at Square One. 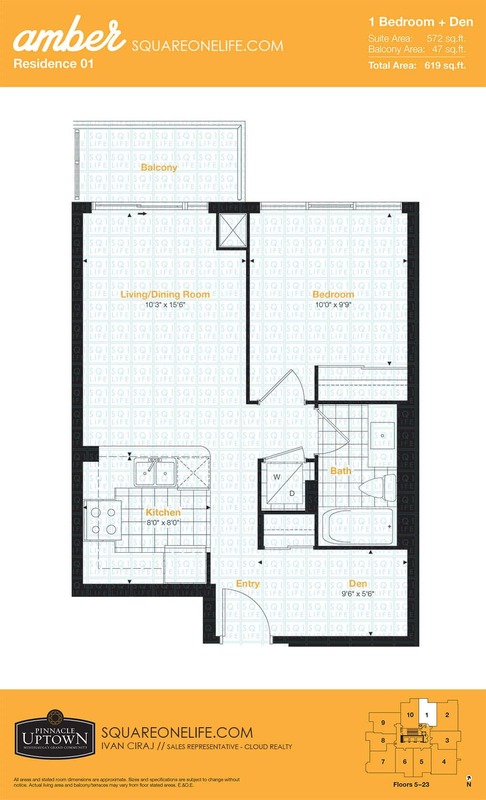 The Amber Condos are not open to the public so please contact us for the full selection of floor plans and VIP pricing only being offered here for Amber Condos. 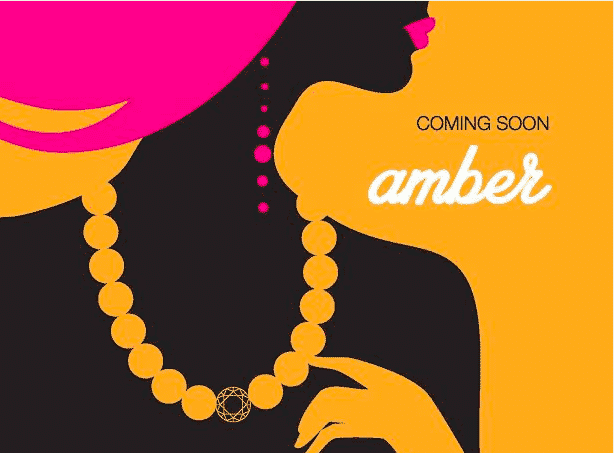 Interested in Amber Condos Mississauga? 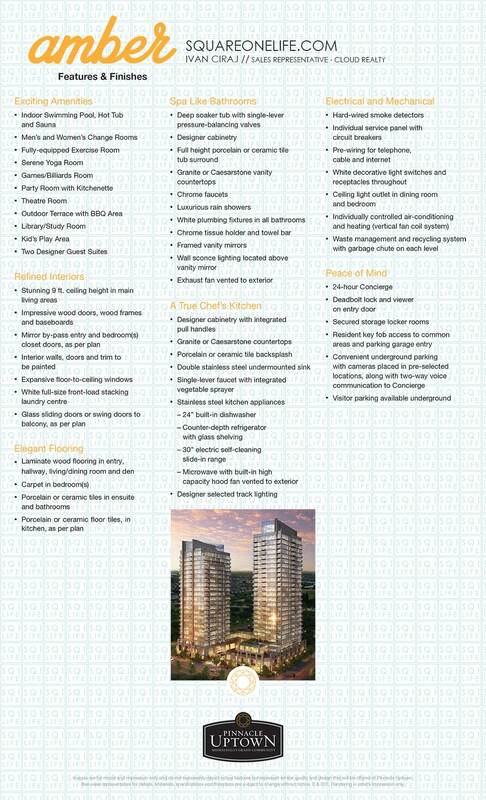 Thinking about Selling, Leasing or Buying Mississauga condos and homes? Call 647-403-0483 or click the button to email. 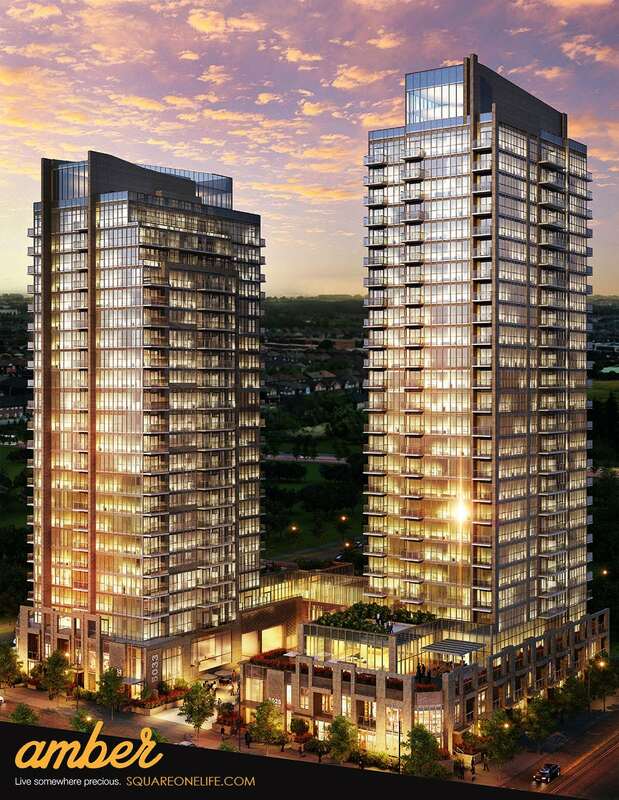 The Amber Condos Mississauga will offer two towers, one with 26 stories and the other providing 23 stories. They will be connected via a single podium structure that enables a grand reception entrance. Completion times are scheduled for 2017. 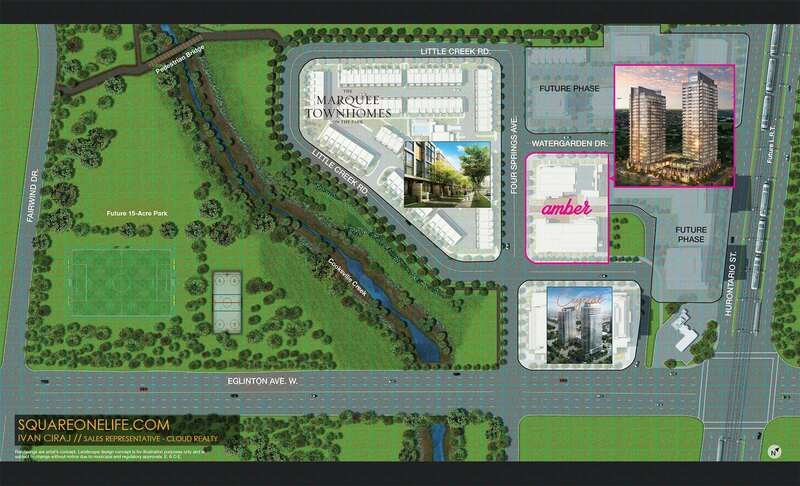 The addition of the now approved Mississauga LRT will place the Amber Condos and the rest of the Pinnacle Uptown community at an amazing point within the Square One condos market. 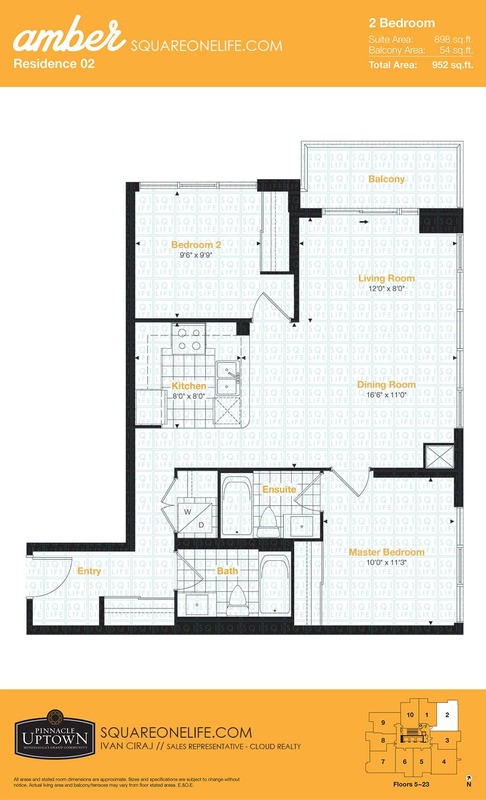 Amazing quality and impeccable style is offered at the Amber Condos. 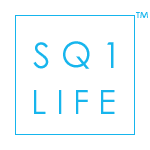 The SquareOneLIFE brand through Cloud Realty is exclusively launching the Amber Condos allowing us to bring you the best prices and largest selection of floor plans. 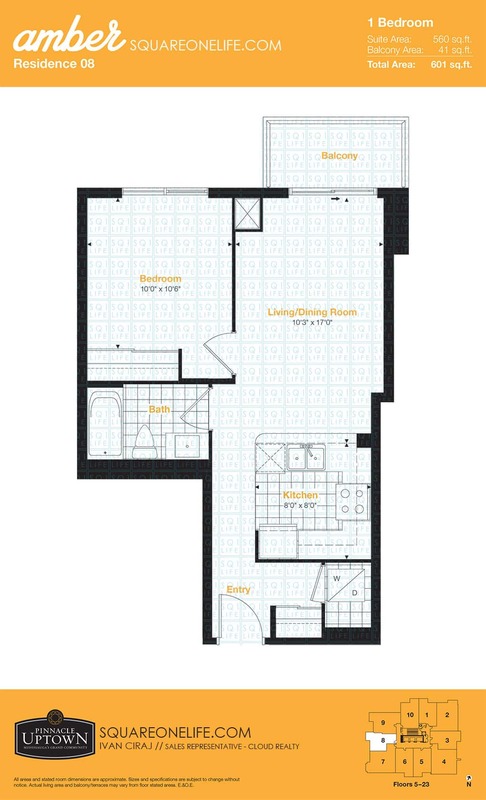 Please review the introduction samples and then contact us for a more detailed overview or to schedule an appointment at the private sales centre.